Kornit Digital is a global market leader who develops, manufactures and markets industrial digital printing technologies for the garment, apparel and textile industries. 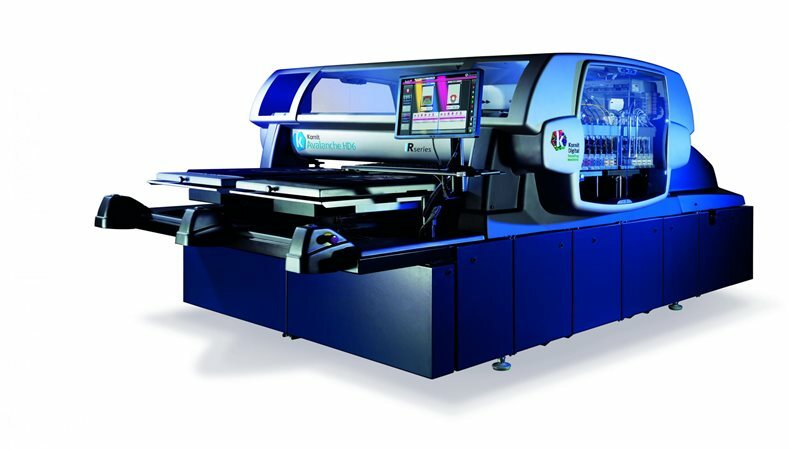 Kornit Digital have experienced a substantial success from launching its new Avalanche HD6 product and they have received orders for systems and upgrades that reaches over $5 million dollars. The Avalanche HD6 is equipped with Kornit’s HD print engine and NeoPigment Rapid ink which considerably reduces ink consumption and cost per print in comparison to previous Avalanche systems. The new model reduces the ink consumption by up to 30% in comparison to the current “R-Series” version and up to 45% in comparison to the previous Non R-Series versions of the Avalanche Hexa. This reduced cost per print provides users with a significantly improved competitive edge against screen printing. Kornit’s HD technology can further increase the market share and adoption of advanced digital printing technologies of textile mass customization. Another benefit of this technology produces a refined hand feel of the printed textile equivalent to screen printing which is another key characteristic when replacing traditional textile printing. Numerous Kornit customers have completed their evaluation of the new system and have confirmed the savings in cost per print and improvements to the print quality. Thanks to this, Kornit has received orders from many customers for the new Avalanche HD6 systems and upgrades of existing Avalanche and have orders to date that exceed over $5 million dollars.